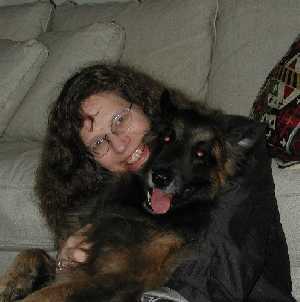 This is me with my dog, Cully. She was a Belgian Malinois. Here's a trick Cully cannot do. I am an Associate Professor at the Department of Computer Science of the University of Georgia . I did my graduate studies at the Computer Science Department of the University of North Carolina at Chapel Hill, where I worked on real-time scheduling theory with Sanjoy Baruah.